Would you prefer to pledge your planned gift in your will? It's easy, and we can help. Contact us to find out more about remembering the Forever Fund in your will to ensure press freedom for generations to come! 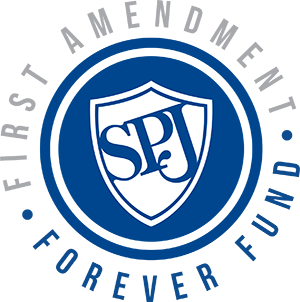 If you prefer to pay by check, please make it payable to SPJ and send it to us at 3909 N. Meridian St., Suite 200, Indianapolis, IN 46208. Please include Forever Fund in the memo. To make a one-time donation, or to set up monthly donations, please complete this form. Monthly donation: I wish to contribute $ per month to the First Amendment Forever Fund. SPJ may charge my credit card this amount on a monthly basis. One-time donation: I wish to contribute $ to the First Amendment Forever Fund. – There is a small fee of $5, which is spread evenly over the course of one year.